Set within the idyllic grounds of Chiswick House, London, is this neo-classical building known as the Ionic Temple. The temple stands in a dell, fronted by a small pond within which rises a tall obelisk. The combination of the temple reflected in the pond, with the striking upright column of the obelisk, is simply wonderful. 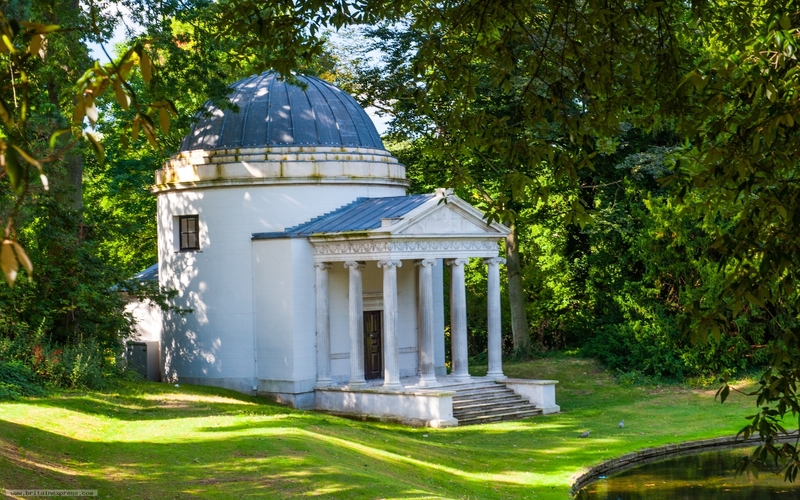 The design of the Ionic Temple is thought to have been influenced by the Pantheon in Rome. The wonderful garden is worth as much attention as the house itself, which is honestly one of the most fascinating historic buildings I've had the pleasure of visiting in London.